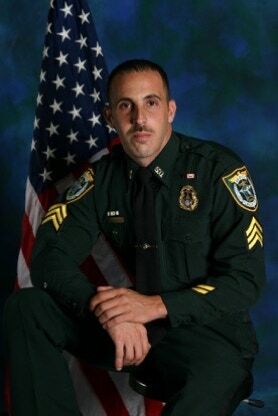 The Frank Celico Foundation was formed in 2011 after the passing of Sergeant Frank Celico, Flagler County Sheriff’s Office on September 9, 2011. “Frankie” as he was affectionately called by his family and friends was as passionate about kids as he was about life. In his memory, this foundation was formed by family and friends, dedicated to keeping his memory alive through bicycle safety programs, bike helmets and the donation of bicycles to the children of our county who are less fortunate. A very special thank you to Elk’s Lodge 2709 and the Palm Coast Fire Department who have been there for us each and every year. Also a thank you to The Punishers Motor Cycle Club who have come on board to help us continue our mission.